» What Is a Multimeter and How Does It Work? What Is a Multimeter and How Does It Work? In a world powered by electricity, few things are more useful than a multimeter or Volt-Ohm meter (VOM for short). 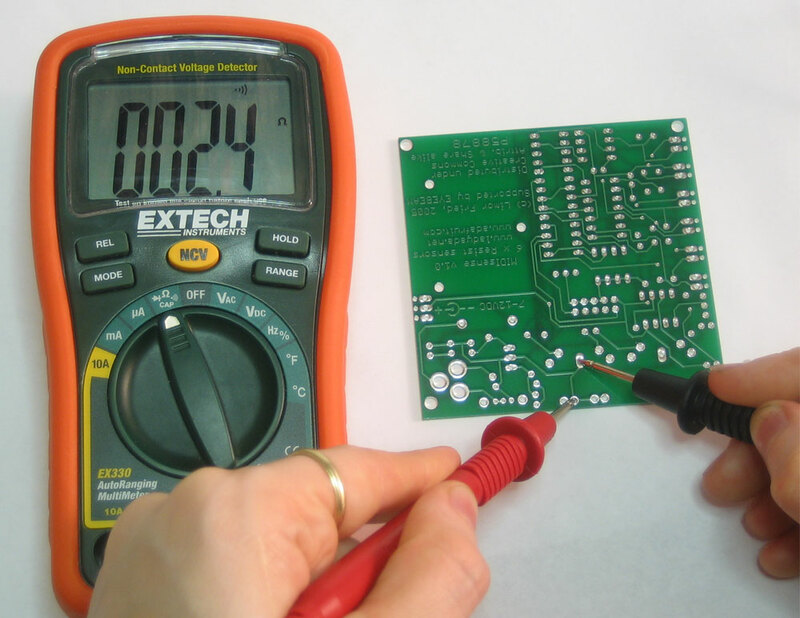 These useful tools can read voltage, current, and resistance. These are all are essential when working with electricity. Electricians, electronic experts, mechanics and many other specialists working with electricity use multimeters on a regular basis. There are two types of multimeters: analog and digital. 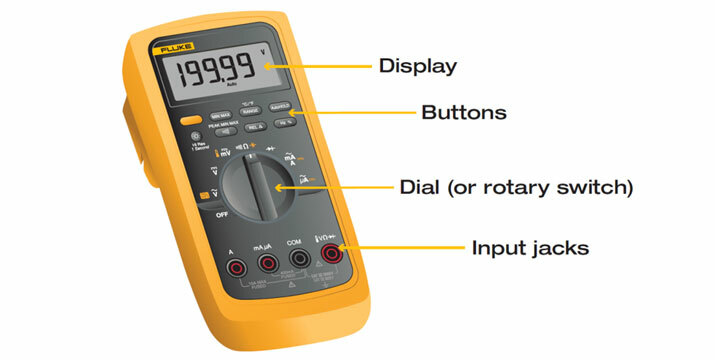 An analog multimeter has a moving pointer that will point out voltage and the other things being measured. This analog measure is called an ammeter. Digital multimeters, on the other hand, use a digital display and measure things electronically. These days, digital units are more common than analog. However, analog multimeters are still preferable in some cases such as measuring electric currents that can rapidly change. Analog units are simply more responsive. So how does a multimeter actually work? Both analog and digital multimeters measure voltage in similar ways. At the heart of every multimeter is a set of circuits. Basically, when you tap into a current of electricity, the electricity will flow through the circuits and will be measured. Electricity is essentially “converted” into voltage. This voltage is then measured by the circuits and the output is displayed. The electricity is passed through what is called a shunt. This shunt measures resistance of the voltage that develops across the circuitry. Needless to say, the actual operation of multimeters is very complex and experts have spent their entire careers just working out measurement processes. Most people won’t ever have to worry about how a multimeter works internally, they simply need to know that it does work and also what the output means. How To Use a Multimeter? A multimeter measures more than just volts. At a minimum, a multimeter will measure volts with a voltmeter, amps with an ammeter, and ohms with an ohmmeter. In fact, this is where a “multi” meter gets its name. It measures multiple things. You can still buy and use individual testing tools but most people now just use a multimeter because it displays more information. Probe tips will be connected to a circuit so that it can measure the flow of electricity going through the circuit. The electricity is then passed into the multimeter’s own circuits where it is measured. Circuits are complex systems that allow electricity to flow through them. Circuits will also direct and utilize the electricity to accomplish certain things such as powering a computer. 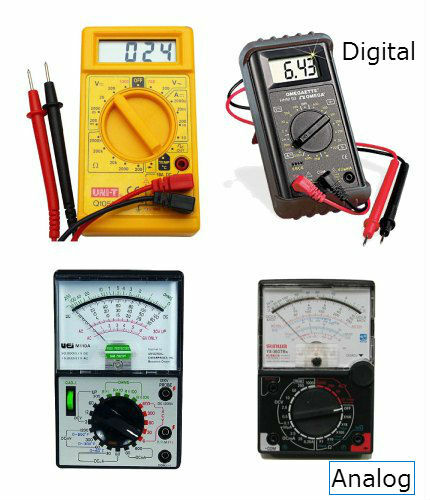 Most digital multimeters are equipped with a screen that displays four digits. Once the probes are connected to a circuit, electricity can flow through the probes and into the multimeter. The multimeter will then display the volts on the four digit space. The number shown is the voltage. If you misconnect the tips and put them on backwards, the multimeter will still measure the volts. You will, though, get a negative sign in front of the numbers. Voltage is very important for batteries, circuits and other things. If the voltage is wrong, the circuit may simply not work. This occurs because circuits are designed to operate with certain voltages. A volt is a standardized unit of potential electrical conduction. A volt tells you how much “electrical production” a specific thing has. In more technical terms, it measures the resistance of one ohm when one ampere flows through it. The higher the voltage, the stronger the flow of electricity. When it comes to circuitry and electronic systems, too low a voltage may simply not be enough to power the system. What if the voltage is too high? It can overpower the system and even cause the circuit to break. In extreme cases, the circuit might actually end up melted or catch on fire! Think of a house. If a house gets struck by a bolt of lightening, and the house isn’t equipped with the circuitry to deal with the sudden surge in electricity, all of the extra electricity could flow into the electronics in the house and fry them. This is why many houses are now equipped with “surge protectors” that will stop and handle the extra flow of electricity. When it comes to working with circuits, experts have to be very careful to make sure that the appropriate volts of electricity are being used. They use multimeters to test this. Multimeters also help them troubleshoot and find where the voltage is too high or too low.